M.L. Gardner staunchly supports special causes. 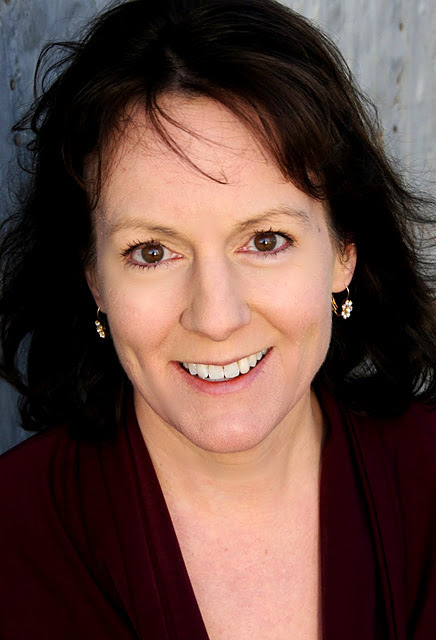 For this reason, she’s delighted to introduce you to today’s Writer Wednesday featuring Author Tracey Deming and her non-profit group, RoM Relief. 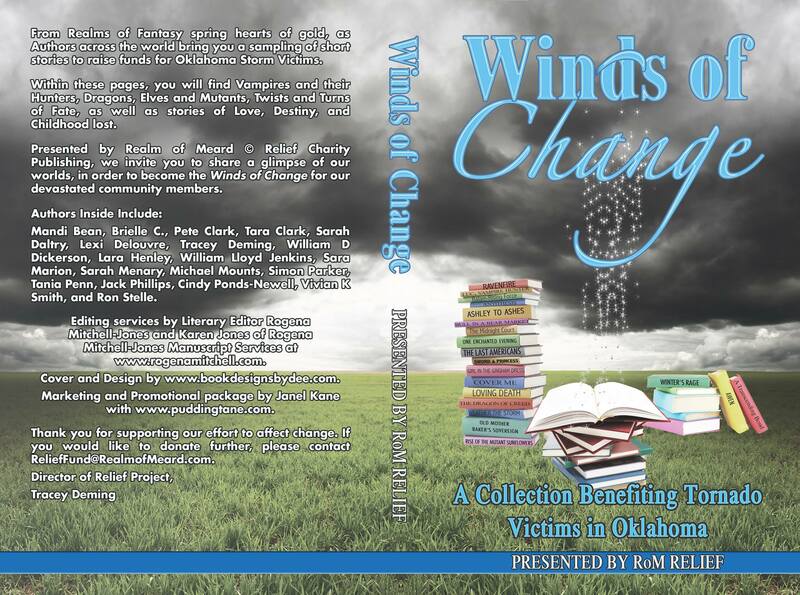 Tracey and her team of authors, editors, and book designers/marketers from around the world have combined forces to produce, “Winds of Change,” a book benefiting Oklahoma storm damage victims. Please purchase the book here, and help Oklahoma residents get back on their feet. What is RoM Relief? What inspired you to begin this non-profit? RoM Relief is short for Realm of Meard Relief. I created Realm of Meard many eons ago when I began my writing career. The Realm of Meard is the world from which I write, it is where all my hopes and dreams have been born and where all things impossible become reality. When faced with the need to establish a non-profit venture to facilitate self-publishing book collections and other fundraising opportunities, it only made sense to me to name it after my world of dreams where everything is possible. I live in Oklahoma, and when devastation hit my state, my town, and my immediate community, I felt driven to do something. I wanted to put together a simple collection of stories, and publish online to raise funds for my neighbors, but over the course of several months I learned how NOT simple a task that would be. What is your latest project with RoM Relief? Our first project that inspired and created the need for RoM Relief is “Winds of Change,” a collection of fantasy short stories from authors all over the world. From Realms of Fantasy spring hearts of gold, as Authors across the world bring you a sampling of short stories to raise funds for Oklahoma Storm Victims. Within these pages, you will find Vampires and their Hunters, Dragons, Elves and Mutants, Twists and Turns of Fate, as well as stories of Love, Destiny, and Childhood lost. Mandi Bean, Brielle C., Pete Clark, Tara Clark, Sarah Daltry, Lexi Delouvre, Tracey Deming, William D Dickerson, Lara Henley, William Lloyd Jenkins, Sara Marion, Sarah Menary, Michael Mounts, Simon Parker, Tania Penn, Jack Phillips, Cindy Ponds-Newell, Vivian K Smith, and Ron Stelle. Editing services by Literary Editor Rogena Mitchell-Jones and Karen Jones of Rogena Mitchell-Jones Manuscript Services at www.rogenamitchell.com. Cover and Design by www.bookdesignsbydee.com. Marketing and Promotional package by Janel Kane with www.puddingtane.com. What specifically will the proceeds from “Winds of Change” buy? Gift cards to be distributed to families affected by the severe storm damage in Oklahoma. While the government and large charity organizations help with the initial devastation and provide grants for rebuilding, families still need help meeting their everyday needs. When your entire home is scrubbed to the foundation, and all you have left is your life, it takes a tremendous amount of time and help to rebuild just the essentials. Where can readers go if they wish to donate additional money to RoM Relief? Are there other ways they can help? We have a PayPal account set up under ReliefFund@realmofmeard.com for additional donations. 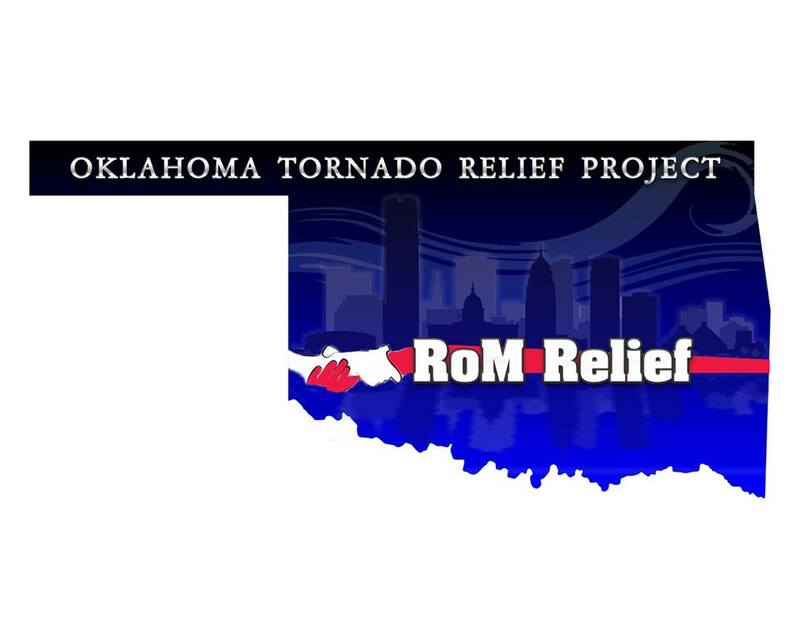 Local fundraising events will be announced on the official Facebook page for RoM Relief @ www.facebook.com/RoMRelief. In addition to donating money, or buying our project book collections, people can help spread the word about the books on their social media pages. We understand that not everyone has money to give, that is the reason that drove me to put together “Winds of Change”. I wanted a way to use my talents as an author to help those in need in my community. What is the hardest and most joyful thing about putting together a collection of short stories with other authors? The hardest thing is sorting through the submissions and rejecting the few that just wouldn’t fit with our collection. The most joyful thing was seeing what a large response to the collection there was. I had responses from the UK, Australia, New Zealand, Canada, India, Africa, as well as nationwide in the United States. The willingness of people to donate their time and hard work to this project has humbled me beyond words. The people working on this project are truly a testament of the human spirit, and I look forward to creating many more collections in the future. What advice would you give to others wishing to start a non-profit? Research, research, research. When I first had the idea of the book collection I had no idea of the legal hoops and hurdles that came along with it. I was just a person wanting to help others, now I am an Author, Publisher, and Business Entrepreneur forged in the fires of necessity. Non-profits are a labor of love, expect to work longer, harder, and more than you ever would for a regular 9-5 gig. Be positive, keep your goal always at the forefront of your mind, do not give up. Don’t be afraid to seek assistance. tracey@traceydeming.com is my professional email address. ReliefFund@realmofmeard.com is also available for contact and PayPal purposes. www.facebook.com/Tracey.R.Deming is my personal FB page and I do accept friend requests from other authors and readers for networking purposes, I just ask that they send a quick message with their request so I know who and why they are requesting me to friend them. www.facebook.com/RoMRelief for the charity page, www.facebook.com/RealmofMeard for fans of my personal novels, https://twitter.com/RealmofMeard is connected to FB RoM page and will also post updates. My forums are connected to my webpage at www.TraceyDeming.com, where authors and readers alike are encouraged to register and post their details. Feel free to add anything about yourself, your books, your non-profit, etc. Writing to me is like taking the sexiest, strangest, most powerful beings you can dream up, then scramble their heart and minds as horribly as you can possibly imagine, just to watch them come to life and surprise even me with their spirit and determination. I think I enjoy discovering the plot more than the readers do. My first published material, “Ravenfire” will be included in the first book from RoM Relief Charity Publishing, “Winds of Change” I am currently working on my novel “Oath Keepers” which I will be splitting into three novella sections for online publication. The first of the series will be: Oath Keepers: Journey Bound, followed by Oath Keepers: Journey Lost, and Oath Keepers: Journey’s Oath. I expect the first one to be available by end of 2013 or early 2014. For updates please refer to my contact pages. Today, M.L. Gardner is proud to bring you USA Today bestselling author, Laurie Breton! Laurie has penned 10 novels and 1 novella, the most recent being the Jackson Fall Series, a deeply emotional romantic journey which I have personally enjoyed and recommend. She’s an expert at telling a story, having done so since childhood, and her focus on relationships goes beyond the typical boy meets girl romance novel and demonstrates the realities and complications of real love. 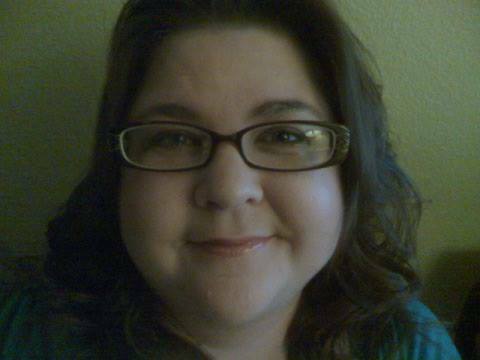 Laurie is an author with a full-time job and a passion for painting and picture making. Click the Jackson Fall Series covers above to buy her books. I am currently working on the latest book in my Jackson Falls Series, which has received fabulous reviews and built a solid fan base. It’s women’s fiction/romance; here’s a quick description of COMING HOME, the first book in the series: Aspiring songwriter Casey Bradley is just eighteen years old when handsome, charismatic singer Danny Fiore storms into her life and turns it upside down. Danny has a voice that rips her heart to shreds and leaves it bleeding, combined with a single, blinding ambition: to become a rock star.. Neither of them plans on falling in love, but sometimes, the heart has a mind of its own. Together with guitar wizard Rob MacKenzie, Casey writes the songs that catapult her husband to a fame beyond their wildest imaginings. But life with Danny isn’t everything she expected; rivers of darkness flow through her troubled marriage, and every time Danny breaks her heart, it’s her best friend, Rob, who picks her up, dusts her off, and glues the pieces back together. It isn’t until tragedy strikes that Casey realizes how lost she is, and begins to question who she is and what she really wants from life. As she searches for herself amidst the wreckage, she discovers the bittersweet truth that the choices a woman makes at thirty may differ vastly from those she made at eighteen. Oh, how I wish I could write full-time. But, alas, I’m addicted to luxuries like groceries and electricity and toilet paper. So I’m still working at the same day job I’ve had for 28 years as an administrative assistant at the local branch of our state university. I’ve been writing since I was eight years old, and the road to publication was long, slow, and twisted. I worked on the same book (Coming Home) off and on for two decades before it occurred to me that if I really wanted a career as a writer, I needed to a) finish the darn thing, and b) overcome my natural shyness and SHOW IT to somebody. After that, it got easier. I wrote the second book in the series, Sleeping With the Enemy, and a third, unrelated book, Black Widow, before I found a couple of teeny-tiny online publishers, in the early days of e-books (around 1999), who put them into print. My fourth book, Final Exit, caught the interest of a New York agent, and he got me a three-book contract with MIRA to write romantic suspense. This was followed by a second three-book contract before, in a purging of midlist authors, I was released. By this time, I was burned out, writing a book a year on deadline while still working a full-time day job, and I didn’t write a word for five years. Eventually, I started writing again, and to my surprise, the voices in my head (which had left me completely for those five years) turned out to be Casey Fiore and Rob MacKenzie, from Coming Home, the book I’d finished fifteen years earlier. Never one to look a gift horse in the mouth, I listened to them and kept writing. Halfway through the book, I realized this could be a series and, since the publishing landscape looked very different than it had five years earlier, I decided to pull out those first two books, blow off the virtual dust, and self-publish them on Amazon. Thus, a series was born. In addition to Coming Home and Sleeping With the Enemy, there’s also Days Like This and a short novella, The Next Little Thing. Within the next few months, I’ll finish the current book (tentatively titled Redemption Road). I love self-publishing! It’s the best thing that ever happened to me. I love to take long rides on the back roads of Maine. It’s so beautiful here, and I do my best thinking when I’m driving. I nearly always come home with new and fresh story ideas. Sometimes, I’ll drive to the coast and walk the beach, especially during the off season, when there aren’t many people there. It’s my happy place, and always renews me when I’m feeling down or discouraged or just plain tired. My other favorite place, which has also given me a ton of story ideas, is the city of Boston. I love to take day trips to Boston and just walk the streets, breathing it all in. Although I’ve lived in Maine all my life and love it here, if I were allowed to live a second, parallel life, it would be lived in Boston. My typical day revolves around my day job. I’m up early (usually between 4 and 5), and I try to squeeze in writing time before work. Sometimes I succeed, sometimes I don’t. I spend time on my Facebook fan page, do some tweeting, and deal with any other marketing I may be involved in. After work, I again try to squeeze in writing time, with varying levels of success. I often say that, if not for that pesky day job, I could write four or five books a year. But reality tells me that if I wasn’t working, other things would fill big chunks of that free time, and I’d still get just one book a year finished. 1. In addition to being a writer, I’m also a painter and a photographer. 2. I love bright colors. When we first bought our house, everything was beige and white, and on Sunday mornings, when my husband was at work, I would sit and cry because I hated the blandness so much. It took me several months to convince hubby that it was okay to paint the walls. Now, my walls are full of color, and I find better things to do with my Sunday mornings! 3. I’m addicted to Lay’s potato chips and Diet Coke. I take my morning caffeine cold, icy, and carbonated. And keep it going all day. Learn your craft! I can’t say this enough. I see a glut of poorly-written (some of it barely literate) self-published books on Amazon, because so many writers aren’t bothering to learn how to write before they try to sell. I certainly don’t advise spending twenty years writing and rewriting the same book, the way I did. But spend time reading books and magazines on writing. Find a critique group. If your English skills aren’t up to par, consider taking an adult ed brush-up course on grammar. Do these things before you try to publish. Oh, and write. Write a lot. Most of what you write at first will end up in the trash. It doesn’t matter, because you’re learning to write, and the more you write, the better you’ll get. We all write trash at first. That’s how we learn. I spent two decades inhaling books on fiction writing, as well as monthly magazines such as Writer’s Digest and The Writer. I read, and learned, and wrote, and learned, and wrote some more, and learned, and threw out millions of words, and learned, and…are you seeing a pattern here? When I was ready to seek publication, I joined an online critique group and continued to learn. It’s the most important thing you can do for yourself, because putting out a bad book is roughly akin to shooting yourself in the foot. Put out a well-written, solid story, and readers will keep coming back for more. I hope readers will give my Jackson Falls series a try. I’m in love with the characters, and plan to continue writing about them as long as there are still stories inside my head and readers keep asking for more! If you’re interested in romantic suspense, my six Mira books can still be found online. Most of them are out of print, but can be picked up secondhand very cheaply at Amazon, and probably other retailers. The last two are also available as e-books. The first four are paperback only. The titles, in order, are: Final Exit Mortal Sin Lethal Lies Criminal Intent Point of Departure (ebook available) Die Before I Wake (ebook available) Thanks for the interview. Happy reading, everyone! 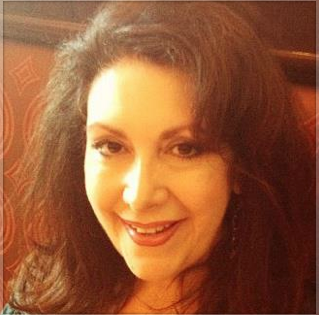 It’s Writer Wednesday, and we are pleased to announce that author Meira Pentermann will be joining us today! Meira Pentermann, author of “Firefly Beach”, “Nine-Tenths” and children’s book “Sarah and the Magic Mayonnaise Jar,” prefers to write about the everyday person. But she does this with a side of unpredictable by placing these ordinary characters into extraordinary situations. Pentermann also enjoys spending time with her family and reads as much as she writes! Buy her book “Firefly Beach” here. And it will be available in audible book this November! Purchase the audible book here. You’ll find my review of the book at the end of this post. I have been writing since I was twelve, mostly journals and poetry. During my thirties I had several story ideas, but I never got past a couple of chapters. In 2003, I sat down and wrote an entire novel in one month! At least I thought it was a novel. It was barely 50,000 words – not long enough to qualify as a novel – and it was quite dreadful. Thankfully, I had no clue at the time. That first manuscript, which I shelved in 2007, allowed me to believe I could write a full-length novel. Faith in one’s self is a powerful thing. I also work for my husband’s business, so I am unable to write full time, but I still have the freedom to arrange my schedule when a story is brewing. Each novel has its own story, so I’ll focus on Firefly Beach. Firefly Beach developed in stages before it took off in my brain and wouldn’t leave me alone. I first envisioned the firefly in 2004 when my husband and I were on a retreat. We participated in a relaxation seminar. The instructor asked us to imagine a very safe and quiet space – a room, a meadow, whatever came to mind. I pictured a small beach secluded by high cliffs. But, honestly, relaxation exercises and I do not do well together. Thoughts run around in my brain in spite of my efforts to quiet them. Shortly after arriving at my special beach, a firefly joined me dancing around the cliff. Then a diary and the idea that it belonged to a long-lost girl. That concept drifted to the back of my mind while I worked on another manuscript from 2004 through 2007. As soon as I declared that manuscript finished, the firefly returned to me, flooding me with ideas. I could not write them down fast enough. I realized that Beth’s story was far more compelling than the words I labored over for four years. At that moment, the old manuscript found its way to a shelf in the back of my closet, and I passionately dove into Firefly Beach. I love dogs and cats, hate ironing, and daydream about spending a summer in Tuscany. I could give aspiring authors pages of concrete advice about the mechanics of writing, the world of traditional publishing, and the nuances of self-publishing, but there are thousands of websites and blogs which give excellent advice in more detail than I could do here. So I’ll focus on the one thing I know. You must first believe. The achievement of any dream begins with the assertion, “I will do this.” Dreams that remain sheltered under words like “I wish” or “I’m not sure” will never see the light of day. I’m not saying a doubt or two won’t rear its ugly head from time to time, but it is important to swat that doubt away as soon as possible. It’s a pesky little gnat, a poisonous distraction. So my advice is this – Practice belief. Dispel doubt. Write your goals on paper. Post them on the wall. Declare them and never give up! Feel free to add anything about yourself, your books, etc. here. Firefly Beach: When Beth LaMonte rents a cottage on the coast of Maine, she wishes only to withdraw and paint. A mysterious ball of light disturbs her peace and leads her to a secret beach where she finds the diary of a girl who disappeared in 1975. Now Beth is on a mission, not only to bury her own past, but to put to rest the spirit of Firefly Beach. Nine-Tenths: Leonard Tramer and his family live in Colorado, trapped behind the walls of a totalitarian state. Dedicated to one another and determined to find the free world, they plan an escape which defies the odds and deceives their tyrannical government. Emerging at a time when personal liberties and Internet privacy are slowly eroding, Nine-Tenths offers a window into a dysfunctional society, while celebrating the resiliency of the human spirit and the natural urge to resist oppression. Sarah and the Magic Mayonnaise Jar: GRADE 3-5. When ten-year-old Sarah Williams obtains magical powers from an unlikely source, she is swept into an adventure involving eccentric witches and a notorious kidnapper. About a year ago, I picked up a copy of Meira Pentermann’s “Firefly Beach” at my mother’s recommendation. The title alone intrigued me enough to immediately begin reading. After her mother’s death, a divorce and a looming 40th birthday, Beth Lamonte uncharacteristically decides it’s time to make drastic changes. She abandons her old life and travels to Virginia Pointe, Maine to rediscover herself and a decades old dream. When a mysterious firefly flits about Beth’s room in an apparent attempt to communicate, Beth’s experiences begin to transcend normal logic as she gradually uncovers the mystery behind the disappearance of a missing girl. Eventually, with the help of the firefly and new friends, Beth learns to trust in love and life and makes a discovery that will change her path forever. As the twists and turns of this cozy mystery pulled me in, I found myself reading this book from cover to cover in one sitting. Meira Pentermann writes a magical, haunting, emotional tale with a dash of paranormal and a focus on relationships, redemption, and reclamation. I highly recommend it!